Nematopogon schwarziellus Zeller, 1839: 185. Nemophora carteri Stainton, 1854: 47. Type locality: England, Manchester. Junior subjective synonym. Description of adults: Examined 13 , 3 . 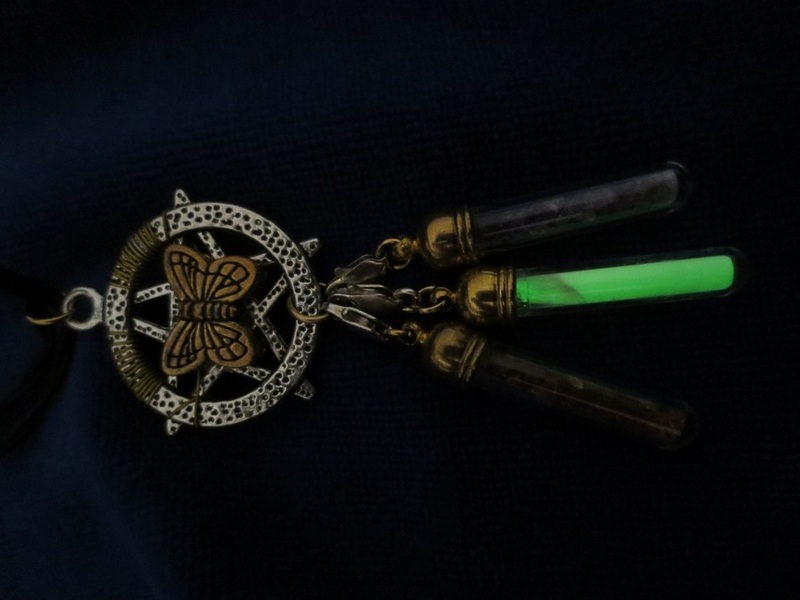 Forewing length: 7.5 - 8.8 mm, 7.9 - 8.2 mm. Head brown, vestiture of hair-like scales on the head distant, yellow; diameter of eyes about 0.4 mm, their distance (frontally) 1 1/4 times the diameter; eyes grey-brown; maxillary palps long (about the diameter of an eye), multi-segmented, whitish-yellow, proximal part directed forewardly, the distal part bow-like directed downwardly and backwardly; labial palps directed forewardly, their length about 1/2 of the diameter on an eye; proboscis brown, scarcely scaled light yellow; antennae about 2 times ( ), respectively, 1 1/4 ( ) of forewing length; whitish golden; thorax golden yellow, tegulae also golden yellow, anteriorly mixed brown; forewings silvery grey to light greyish golden, very weakly reticulated with brownish veins and irregular, delicate, brownish crosslines, sometimes also lightly brownish suffused; spaces between the reticulation partly mixed with single yellow scales; crossvein at the discus also diffuse brownish; costal margin delicately violet-brown, partly also outer and inner margin; slightly basally of the tornus, an indistinct, light yellow spot at the inner margin, extending into the fringe; fringe bronzy golden; hindwings with narrow, lanceolate scales, not completely covering the wing membrane; broader scales, covering the wing membrane, only in the apical part and near the anterior outer margin; hindwings hyaline, light grey, with weak golden or nacre-like shimmer; fringe grey with light golden glance; underside of forewings grey-brown, intensively golden shining; underside of hindwings similar to the upperside, but apex intensively golden shining; forelegs inwardly and proximally brownish, outwardly and distally light golden yellow like mid- and hindlegs; foretibia with epiphysis (inserted at about 1/3 of the tibial length, its length about 0.4 times the tibial length); midtibia with a pair of long spurs at the distal end; hindtibia inflated, with a row of long, fine setae directed downwardly and a pair of relatively long spurs each at about 0.65 of the tibial length and at the distal end; abdomen brown, scaled greyish golden, in female laterally compressed. The species is absent in large areas of eastern and south-eastern Europe, but is otherwise widespread on the continent (Karsholt & Nieukerken 2004). It also seems to be absent from Asia (anonymous 2009a, Dubatolov 2009). Vertically, the species has been recorded from the lowlands up to 1900 m a.s.l. (Kurz et al. 2010). N. schwarziellus preferably inhabits open beech and mixed beech forests and seems to be active mainly in the late afternoon and early evening (Kurz et al. 2010). 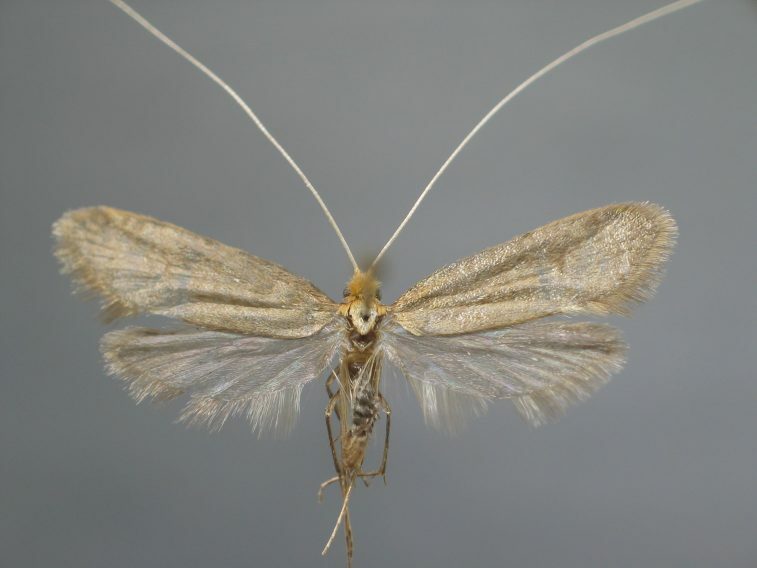 The species has been found on the wing from late May to early July. Two records from mid August and late September (!) are doubtful with regard to the date (Kurz et al. 2010). Morphology of preimaginal stages (Heath & Pelham-Clinton 1983). Egg. The egg is ovoid and shining pale yellow. It is laid in a stem or petiole of a herbaceous plant. Chrétien (1888, 1889) recorded oviposition on Ajuga, Alliaria petiolata, Glechoma herderacea and Urtica. Larva. The full-fed larva is whitish with pink on the first four segments. The head is dark yellow-brown, the prothoracic plate blackish-brown, paler in the middle. The meso- and metathoracic segments, as well as the last abdonimal segment, are darker dorsally. After hatching, the larva drops to the ground and builds a case from debris and pieces of dead leaves, in order to form a flat case tapered anteriorly. It feeds on the ground, mainly on detritus, and is full-grown in November. By that time, it attaches its case either horizontally or vertically to any convenient object. Some of the larvae pupate already in autumn, others after hibernation. Pupa. The pupa has not been described. It rests in the case. Chrétien, P. 1888. [Les chenilles de certaines Adela et de quelques Nemophora]. Annales Sociéte entomologique Francaise, 6 (8): LXXXIV-LXXXV. Chrétien, P. 1889. Histoire naturellede la Nemophora panzerella (Microlépidoptère de la famille des Adelides). Naturaliste 3: 174-176. Heath, J. & E. C. Pelham-Clinton 1983: Incurvariidae. In Heath, J. (ed.). 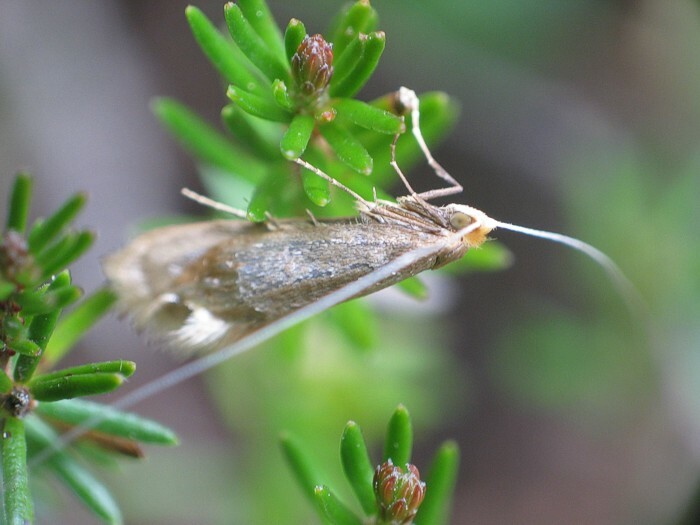 The moths and butterflies of Great Britain and Ireland, Vol.I: Micropterigidae – Heliozelidae. – Harley Books, Martins, Great Horkesley, Colchester, Essex. Kurz, M. A., M. E. Kurz & H. C. Zeller-Lukashort 2000–2010. Naturkundliches Informationssystem. – URL: http://www.nkis.info [online 06 May 2010]. Stainton, H. T. 1854. Insecta Britannica. 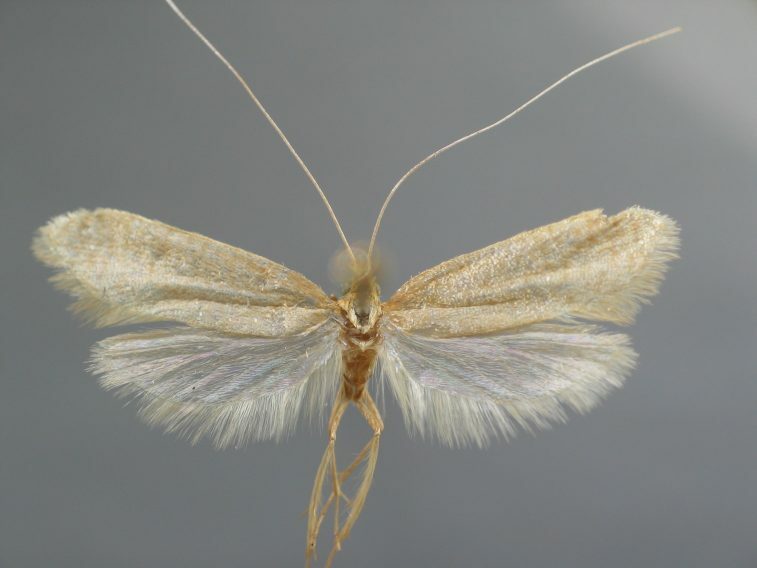 Lepidoptera: Tineina. VIII + 313 pp., 10 pls., London. Zeller, P. C. 1839. Versuch einer naturgemäßen Eintheilung der Schaben. – Isis, Leipzig : 167–219.